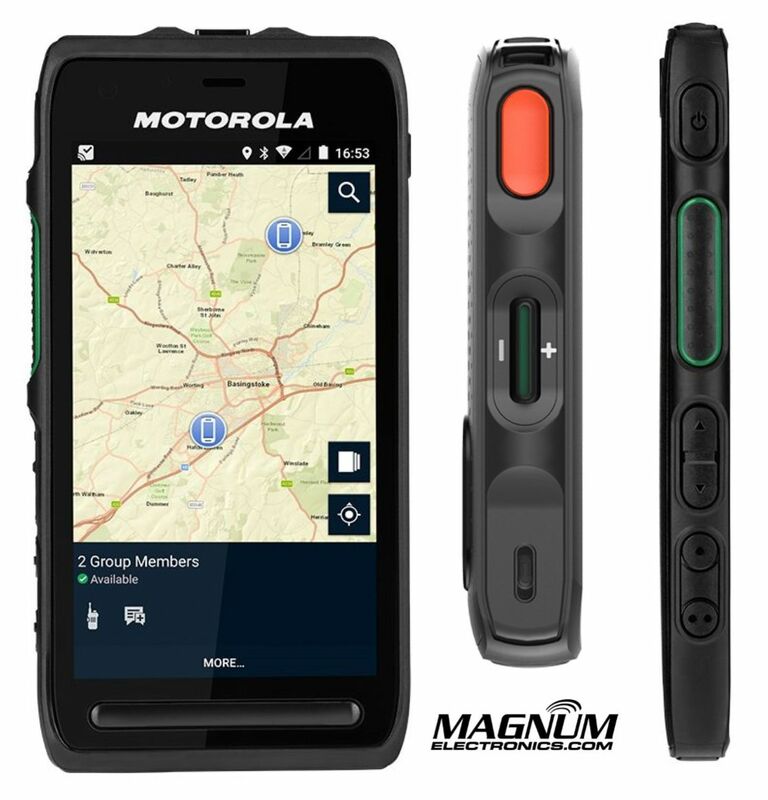 Motorola LEX L11 Rugged LTE Handheld Is FirstNet and FIPS 140 Certified | Magnum Electronics, Inc. The LEX L11 is Motorola’s third generation purpose-built smartphone for public-safety professionals using AT&T FirstNet. The device has an IP68 submersibility rating and has Gorilla Glass 3 on the 5.0 inch display. A dedicated push-to-talk, emergency, and programmable buttons differentiate this from a consumer device. It also has dual front-facing speakers (107dB) and three microphones for noise suppression. The LEX L11 is built with the Android 7.1 OS and has Bluetooth 4.2 and Wi-Fi 802.11 a/b/g/n/ac/k/r. The 3G/4G LTE radio is UMTS/GSM capable on bands 4, 5, 7, 12, 14, 17, 29, 30, 66 and is AT&T FirstNet certified. A Verizon compatible model is expected to be released in the first half of 2019. Federal government users should know the LEX L11 is FIPS 140-2 Level 3 Validated. The LEX pairs with APX 6000, APX 7000, and APX 8000 (including XE) models with internal Bluetooth enabled. It will provides remote control of APX radio’s zones, talk groups, and volume, emergency button activation, and allows you to speak directly into LEX L11 over the LMR radio network. The IMPRES 2 PMNN4545 standard swappable battery has 2500 mAh capacity and lasts a typical 10 hour shift. The optional high-capacity PMNN4546 5000 mAh battery lasts up to 20 hours but requires the HN001155A01 replacement back cover. The LEX has a 3.5mm jack and also supports wired audio accessories. The PMLN4541 2-wire surveillance kit with acoustic tube is the most popular for law enforcement. A lower cost PMLN4540 earbud with inline mic is also available. This entry was posted in APX Radios, Bluetooth, Interoperability, Motorola, New Products, Public Safety, Wireless Networks and tagged FIRSTNET, LEX L11, LTE, military, mission-critical, police by magnumelectronics. Bookmark the permalink.